I have to admit, in and of itself, that light in dark charcoal matte grey looks very nice. I agree. 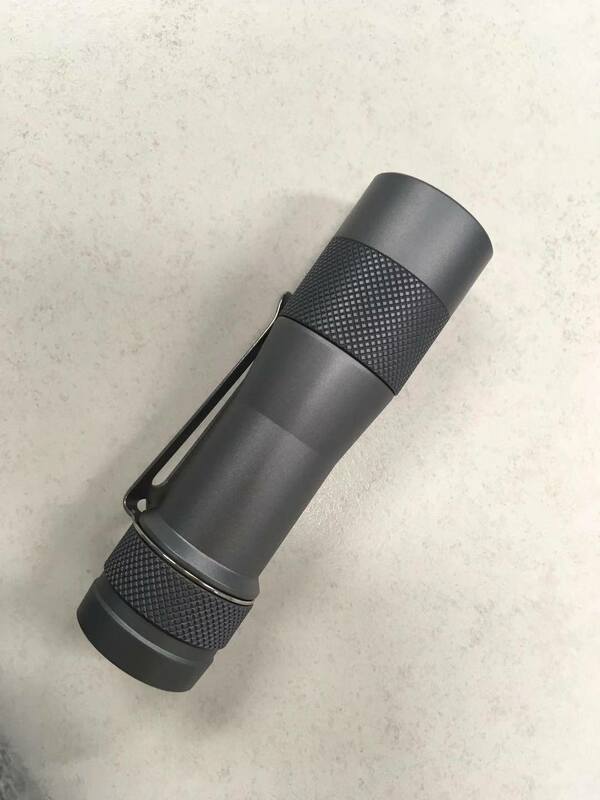 Is this another prototype that has been released? Did I miss something? Perhaps tatasal can solve the mystery of those pictures? An 18650 light this small isn’t new. 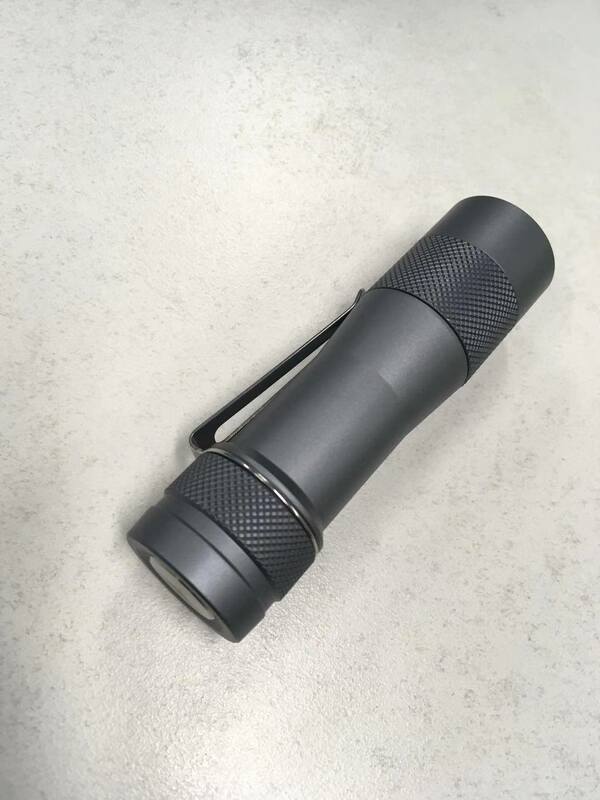 Several Zebralights, the Nitecore HC30, some DQG stuff, and others are the same size or smaller. While a tail-e-switch on an 18650 light this small probably was new when the FW3A was announced, the Folomov 18650S has that. 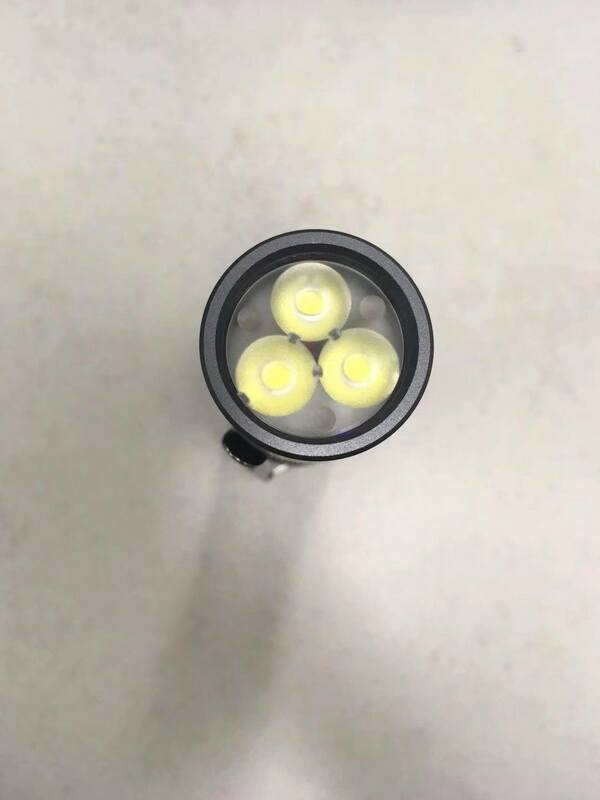 I’m not sure the FW3A does any one thing that hasn’t been done before, but it combines a lot of good ideas that are rare in the industry with good physical design, good emitter options, high max output, and a great UI. so the pics mean what, im confused where do they come from if Fritz is nowhere to be seen tatasal has a prototype of the light or ?! considering the huge list of interested buyers its not too much ask to write whats going on if they light will ever reach production or not ? Some of these comments remind me of a kid flailing on the supermarket floor after not getting their way. This entitlement mentality is really sad. It says on the very first post “it will be done when its done”. People with no money spent should really manage their expectations – look in the mirror for real….Make your own or get a custom maker to make you one and unsubscribe and/or get off the list if you don’t like how it is. Simple. Look, we are all in here because we want to actually buy this light based on whats been posted. It doesnt matter if nobody has spent any money, we just ask for an update since june last year nothing of the maker of the light or design guy has posted an update whats going on with the project alive or not, where are they how long are we supposed to wait for something that maybe will not happen perhaps? Then it would be better imo come clean say sorry light is scrapped due to personal problems etc…. dont u agree ? I understand a months silence isnt anything to panic about, but its been 6 months now isnt that already long enough to not wanting an update whats going on ? Again it doesnt take more then a minute to login and write short whats up, silence in the long run is never a good sign last time i checked. Look, we are all in here because we want to actually buy this light based on whats been posted. It doesnt matter if nobody has spent any money, we just ask for an update since june last year nothing of the maker of the light or design guy, where are they how long are we supposed to wait for something that maybe will not happen? Then it would be better imo come clean say sorry light is scrapped due to personal problems etc…. dont u agree ? No. I don’t think anyone owes us a damn thing unless we have put money or design time down…Heck, if I was Fritz and got bored or sick of the project the entitlement mentality would have made me want to give the finger to the whole thing. It’s up to Lumintop now when and whether they are going to make the thing…..I don’t understand what Fritz even has to do with in anymore at this point. 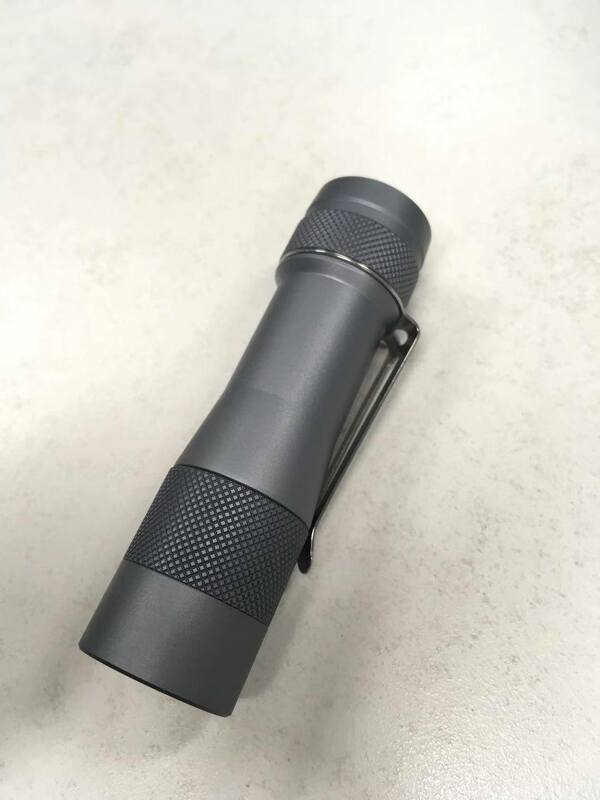 Just for perspective, some people have been on the list for this flashlight a year longer than you have been a member here. Really? Does membership in the original BLF forum not count? 10 or so years ago? Besides what does that have to do with anything? Only people who know Fritz or/and have worked with him + those involved in the project (who have given of their time for the project) should comment about what Fritz should do or shouldn’t do. The rest of us should shut their mouth about him because if we are pissed off by someone who walked out for 6 months without saying anything, he probably has a good reason even if it is not a good reason for us. Show some decency and empathy guys !!! and less selfish interest for a good that we are eager to add to our collection. Not to mention the gratitude you could show for what has been done so far by Fritz and the rest of the TLF/BLF team instead of venting your frustration on Fritz. Do you really need a scapegoat for venting your frustration ? All the more since tatasal gave a proof that the project isn’t completely dead. You’ll understand when you chill out and think about it. Tundraotto, it has to do with the fact that some people have been waiting a lot longer than you. While perhaps nothing is owed to them, a bit of frustration is understandable, given the silence. I don’t like it at-all. It could not be further from “engineering purity”, or what was first promised. But if these photos are of something real, that might one-day actually get made, rather than just a play around with different anodisation dyes, that is of interest. So tatasal, spill the beans please, and explain what’s going on. Oh, and quickly send a few out to the designers, development testers and respected reviewers first, before expecting the rest of us to stump up our $30, delivered. (Never going to hit that price IMO, nor should it be compromised in trying to do so). The rest of us should shut their mouth about him because if we are pissed off by someone who walked out for 6 months without saying anything, he probably has a good reason even if it is not a good reason for us. Show some decency and empathy guys !!! Indeed, Fritz and whoever else is MIA or AWOL regarding this project should empathize with the 1000+ who are hoping and waiting for this project to take off. Look, the point that nobody owes anything has already been made, and nobody disagrees with that. But there’s reason for disappointment too, which you can read in the comments. Rest assured those photos are the latest, and that the FW3A project is very much alive and well . As to member Fritz, we have never pm’ed each other. Too early for a beer right now though. Usually I don’t agree with much you say, nothing personal and I’m sure you’re a good person IRL but we just seem to about always have differing opinions on most things however in this case I couldn’t agree more! List updated in post #4. 1272 people, 1792 lights… plus ~400 on TLF. Found 3 posts, maybe it was one of these? Neal got what was supposed to be the final prototype, but he said something vague about having issues, and hasn’t really answered my questions about it. So if my guess is correct, he’s working out whatever-it-was with Lumintop. Neal also sent some pictures, but they’re the same ones tatasal posted. I’ll put them up again in another comment. That already happened, basically. Fritz designed the light and doesn’t really have any more tasks to do. I think he has just been too busy to stay involved, so I’ve been filling in. Most of what is left depends on Neal, me, and whoever is willing to help at TLF. But at the moment, every pending task depends on Neal. Complaining about things which can be fixed is one thing. It’s arguably productive, especially when it comes in the form of a bug report with a patch. But complaining about things which can’t be fixed, or just tossing negativity into the ether, mostly just drags people down. Sir, I understand that it is your constitutional right to poop on the floor of a public forum every morning after coffee, but… could you not? Yeah… sometimes I have to wait until I can set aside an entire afternoon. Far too often, BLF is like a job that I don’t get paid for. In the past, I’ve intentionally avoided running any projects like this, but when everyone else disappeared I kinda got stuck with it. Well, yes. You’re completely correct. But communication has been the primary ongoing issue for this project. I would have set things up differently if it had been my project, but it’s way too late to restart the whole thing with more-communicative team members. So it’s going to continue to be difficult until the light is finally shipped. Maybe even after that too, depending on how much Neal invests into customer support services. I understand that it’s frustrating, and it’s more frustrating for me than for most, but it’s not something which can be fixed so we all just have to deal with it until it’s over. And, unfortunately, complaining about unfixable issues only makes things worse. It makes life more unpleasant for everyone involved while adding nothing useful or insightful. Of course, that will happen anyway, but I really appreciate the people who refrain from doing so or who try to make things easier while we wait. The reasoning behind it is indeed to make it easier to use the clip. … Additionally, I can confirm it is still my design. That’s the reason why the the chamfers have a different angle rather than the same I like the design like it is now but I am sorry that those design changes ruined the light for some people! Thanks for clearing that up. It gets a little old fighting pessimistic speculation, unfounded claims, FUD, inflammatory posts, and other disinformation. So it’s really nice to have help. I may have to put that in the first post.